A couple of years ago, my life was not looking exactly as I would’ve hoped. For various reasons, I moved back to my hometown in February 2013 and wondered where my life was headed. In May 2013, a girlfriend asked if I wanted to do Warrior Dash–one of those obstacle course races–in Windham in July. I don’t know why, but I said yes. If you know New York and know the Catskills, then you know Windham is a mountain. 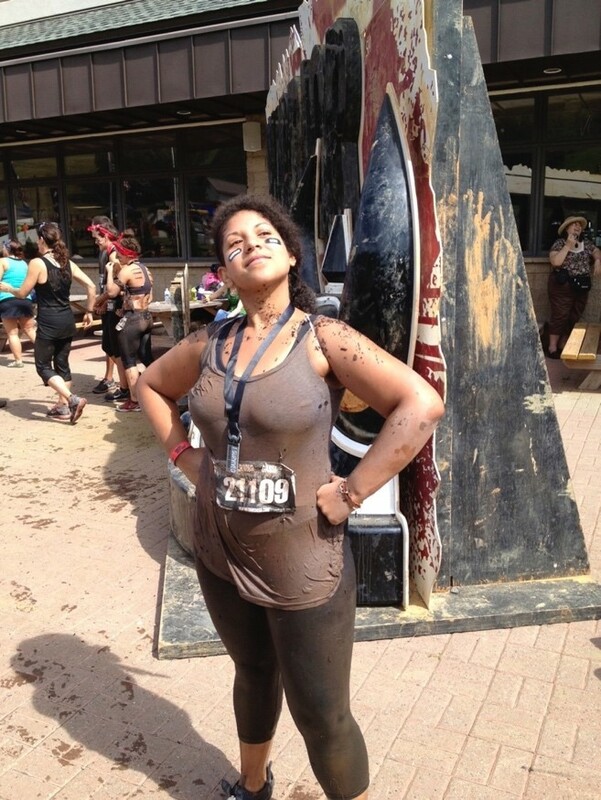 I had agreed to a 5K up a mountain with obstacles thrown in…in the summer heat. I never really thought of myself as a fit person, a fit person who runs races, or a fit person who runs races that include jumping over mounds of fire. Nonetheless, I said yes. I didn’t want to embarrass myself by bowing out at the last minute, or showing up to the race unable to compete, so I decided to train for Warrior Dash. At the time, I was an adjunct professor and had the summer off, so there was plenty of time for training. Back in my hometown, I was living a quarter-mile from the school track. I started walking to the track and walking around the track. Nice and slow. I ran a mile once in my life—I was in the eighth grade, and it was required for the Presidential Fitness Test. It took me 9 minutes and 27 seconds. I hated it. With that memory, I walked the same track I ran that one time in middle school. Soon after I started my walking routine, another friend said she was starting a strength-training regimen to prepare for Warrior Dash. This friend was a runner. Why was she training? She was already fit. I began to worry that I bit off more than I could chew. I worried that this fit runner was training quite a bit, and maybe this was going to be way too intense for me. This was supposed to be a fun activity, and I started dreading it. I decided to train a little harder. I would walk to the track, walk a lap, do burpees, sit ups, pushups, squats, lunges, planks, walk a lap, and repeat. Each day, I would add to the laps and add to the number of reps. I got into a rhythm and actually started to enjoy this. Like I said, I had the summer off so the amount of time I was able to spend at the track may not be realistic for a lot of people (in fact, it’s no longer realistic for me). But, at the time, it became something I felt compelled to do and had the time to do. I enjoyed being outside, in the sun, and noticing my strength improving. I would be out there for hours. On days I wasn’t in the mood for the full routine, I would still go to the track to keep the habit and stretch or do yoga, and go home. July arrived and it was time to face that mountain. I felt…okay. Yes, I had done some strength training and moved my body for 2 months, but was that enough for what was ahead? It was actually quite terrifying, looking up and seeing this mountain with various obstacles on it. But, after a group Jane Fonda-esque warm up, complete with shoulder rolls and arm circles, my girlfriends and I started up the mountain. And we did it! I walked, jogged, and ran various parts of the mountain, through winding paths and rough terrain. 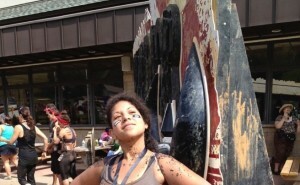 I conquered rock-climbing walls, crawled on my belly through mud, and yes, jumped over that mound of fire. I did every single obstacle. I finished the race. It was amazing. Indeed, this outside activity felt great. And, it still does. Something I worried about doing ended up feeling so good that exercise is still a constant in my life, and I love it! Being active helps me to feel well, emotionally and physically. I no longer live down the road from the track, but I still go there. I also ride my bike, take hikes, go for walks, and workout at home or at the gym. We have sit-stand desks at PRA, and I’ll take a moment to do squats or tree pose at my desk. Or, pull out my portable stair climber and take steps while I work. Training for this race in May 2013 made movement part of my daily life, and showed me how my physical wellness affects other areas of wellness. I had done workouts in the past, had gym memberships, and tried on and off to make walks and runs habits. But, something about this training in 2013 stuck. Exercise became something I now feel like I need, rather than something I have to do. It’s something I want to do. I feel better, overall, when I move. I encourage you to move a little bit, then a little more, and a little more, and see how it can improve your well-being in a multitude of ways.